Today, I attended a webinar conference on MariaDB MaxScale carried out by Roger Bodamer at 10.00 AM PDT. That was really interesting and I strongly feel the future of system and database administrators are going to be enhanced with this technology. It started with a thorough introduction about the challenges faced by the IT industry today especially large firms to market agility, system integration, real-time insights, security, and high availability. Some basic explanations on both application (customer-centric front-end) and database(transaction focused back-end) levels were addressed. At the application level, this deal mainly with continuous delivery of the application, microservices and modular deployment whereas at database level, it lays emphasis on security, scalability, high availability and high quality data management. 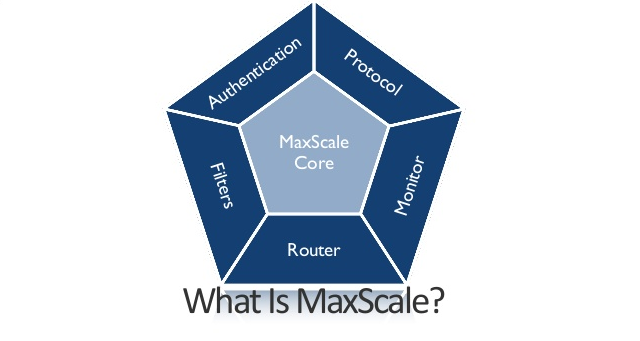 There are so many features in MaxScale that have really amazed me in the security pillar such as data motion, data in use and the DB firewall. Emphasis was laid on the type of job MaxScale that can be performed compared to simple master-slaves environments. MaxScale is really good at replication when it comes on one master having hundreds of slaves which prevents load on the master which means that MaxScale can take great care of replication issues. Another feature of MaxScale is when database is used to store information, a specific route can be defined for traffic within the database itself. Keymaps also comes into a great feature to manage those issues. Schemas can be updated. The goal is high availability. Another feature is data streaming which can be controlled. I noticed a heavy emphasis on security especially when it comes to whitelisting/blacklisting at database level to reduce DDOS attack drastically at database level. A demo was then displayed live showing some interesting features of MariaDB MaxScale. An interesting GUI web interface called MaxPanel is used to connect with the servers Master-Slave-Slave (All three instances on docker instances) which give indications about the server names, addresses, ports, connections, and status (Server running). A load was generated on of the slave server where writes were configured on the master and read only on the slaves. The tool which was used to generate the load is HammerDB. In the conf file, under the dbfw-blacklist, rules can be inserted there to prevent certain type of query for example a "select * from tablename" which if the table have too many records, this will consume heavy amount of resources. To remediate this issue, a rule can be specified to use the "where" statement. An example of such entry is rule safe_order deny no_where_clause on_queries select which means that no select to be made with a where clause. Also rule query_regex deny regex '*.orders*' which is going to be applied on the table called orders. After the demo, the questions and answers session were tossed out. This includes different architectures where plugging architectures can be used with specific protocols. Some answers still need to be cleared out as regards to MUSL compatibility with MaxScale which was pointed by me. Some days back, cyberstorm.mu have enhanced MariaDB to be MUSL compatible. That was really an interesting and educational session for MariaDB MaxScale especially for administrators. I am looking forward for MariaDB MaxScale installation soon.